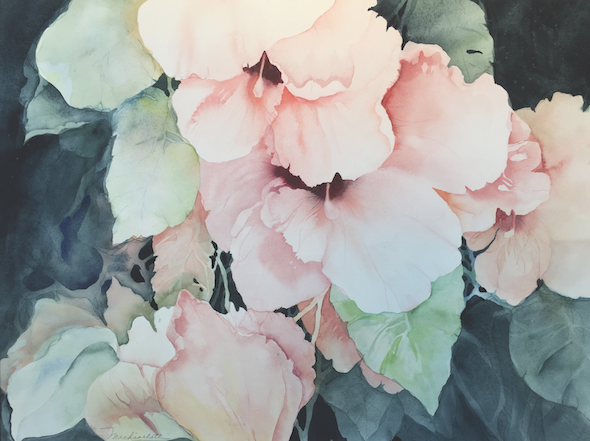 Patricia Machiorlete, ‘Hibiscus’, watercolor on paper. NAWA SC chapter member. As the story goes, on the evening of January 31, 1889, in the New York City studio of Grace Fitz-Randolph, four determined and illustrious female artists joined their hostess to create the first women’s art club in the US. In spite of their considerable talents, the percentage of women represented in major art exhibitions were few. For women to engage in a professional career of any sort was considered unacceptable. These five women were determined to change that. And they did. 130 years ago, in that candle-lit studio in the West Village, painters Anita C. Ashley, Adele F. Bedell, Elizabeth S. Cheever, Grace Fitz-Randolph, and Edith M. Prellwitz founded the National Association of Women Artists. Their goal? To support public awareness of the visual art created by women throughout the United States. Since their establishment in the late 1800s, a lot has changed for women in the art world—much of which can be attributed to the efforts of the members of the NAWA. Some of their most notable members include Mary Cassatt, Alice Neel, Gertrude Vanderbilt Whitney, and the founder of South Carolina’s Brookgreen Gardens, Anna Hyatt Huntington. Female artists residing in the Lowcountry are of a lucky lot. This past year Jennifer R. Stone, a retired public educator living in Bluffton started the South Carolina chapter of the NAWA. Women from the Upstate to the Lowcountry are encouraged to apply for juried membership and take part in the historically influential programming organized by the association. The NAWA serves professional women visual artists from all backgrounds and traditions that are at least 18 years of age. Classes, lectures, networking, and curated exhibits throughout the country are just a sampling of what members can look forward to. “As of now, most of our 34 South Carolina Chapter members are 2D artists. There’s a jury meeting in mid-March, so we expect many new members by April. We’re hoping for sculpture and 3D artists as well,” says Stone. 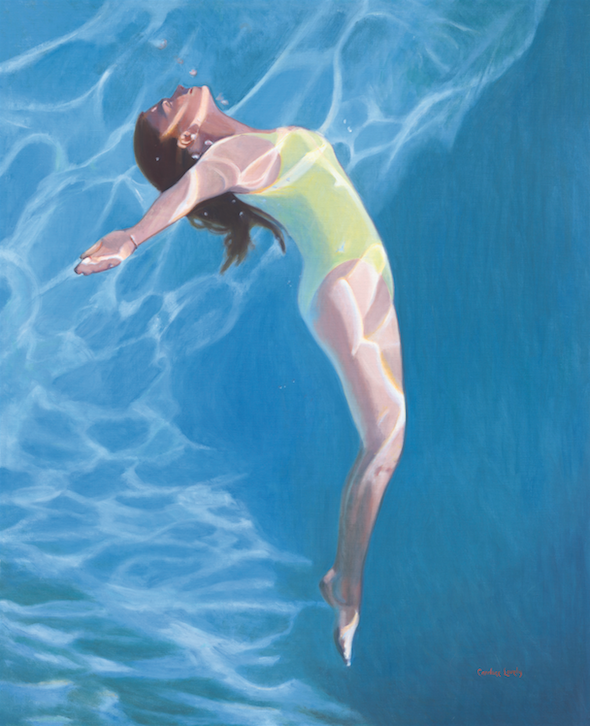 Candace Lovely, ‘Venus Goes H2o’, 54 x 44, oil on linen. NAWA SC chapter member. This local chapter intends to set up a scholarship program for regional high school students as well as monetary awards for chapter participants. All national members are entitled to exhibit in the NAWA’s yearly exhibit, held in the NewYork City headquarters’ gallery—which is a very big deal since the NAWA exhibition catalogs are annually archived at the Smithsonian Institution of the National Museum of Women in the Arts, The Metropolitan Museum of Art, and numerous other important institutions. More immediately, members can join the newly minted chapter in March for a lecture led by Tiffany Taylor, a gallery owner and professor of marketing at the Savannah College of Art and Design. Look for details about upcoming programming on the NAWA South Carolina Chapter Facebook page. 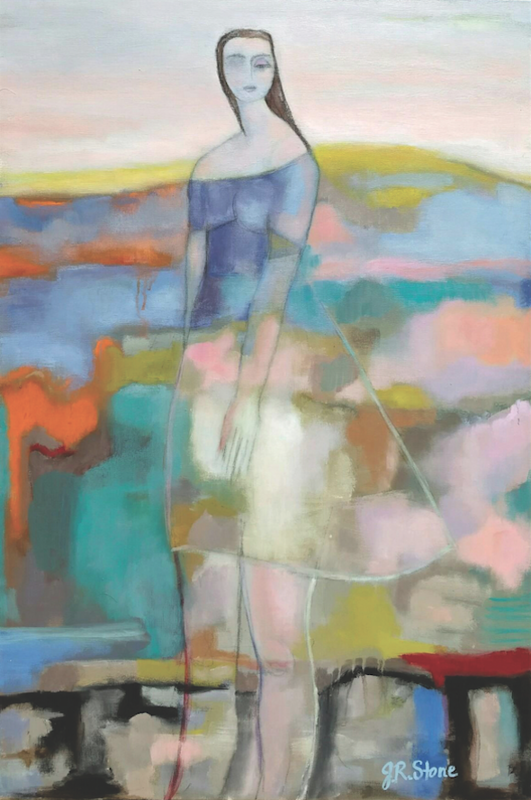 Jennifer Rocco Stone, ‘Harmony’, 24 × 36, acrylic on canvas. NAWA SC chapter member. Stone explains that after moving down from New York she “quickly realized that the region has many talented women artists within its growing and vibrant art scene. Artists [in this area] would benefit from the NAWA’s professionalism and the many opportunities the association offers.” Stone’s establishment of a South Carolina chapter gives legs to the New York City organization, which also has active chapters in Massachusetts and Florida. Over 800 professional female artists comprise the national membership of the NAWA. Stone and the SC chapter members are producing an upcoming exhibit titled “Transparency and Light”, which will open April 4 at the University of South Carolina Beaufort Center for the Arts. This exhibition coincides with the NAWA’s 130th anniversary show “Transparency”, showcasing at the Arts Club of Washington DC. All art-lovers are encouraged to attend and see what indisputable talent walks among us, continuing the legacy of those five maverick women in 1889.